Christmas is coming! Have you bought your Christmas presents for everyone? Are you postponing that because you have no ideas of what to give to your friends? Well, if your friends or relatives are makers, you are in the right place. We’re going to show you 10 gift ideas for makers and electronics enthusiasts. We hope you’ll like it. If you’re looking for a Christmas gift for your children, grandchildren, or nephews, consider taking a look at the Best Educational Robots for Kids and Teens. If you’re looking for a gift for an electronics enthusiast, then this component tester kit is a great choice. This is a DIY kit that needs soldering assembling, so it is perfect for someone who loves all DIY stuff. This component tester identifies almost instantly any electronic component and its features like resistors, transistors, mosfets, and capacitors. It also measures frequency, it is able to output PWM signals and generate square-waves. Do you want to see how it works? Read our full review here: DIY Transistor Tester Kit Review. 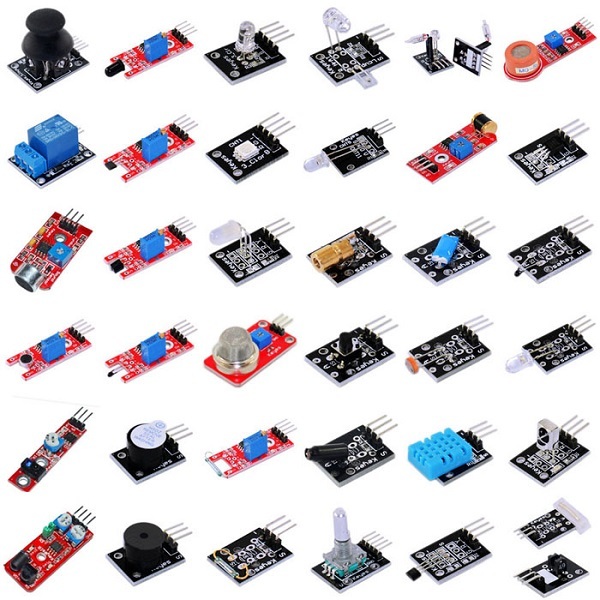 For someone who likes Arduino, this kit with 37 sensors and modules will be a great gift. 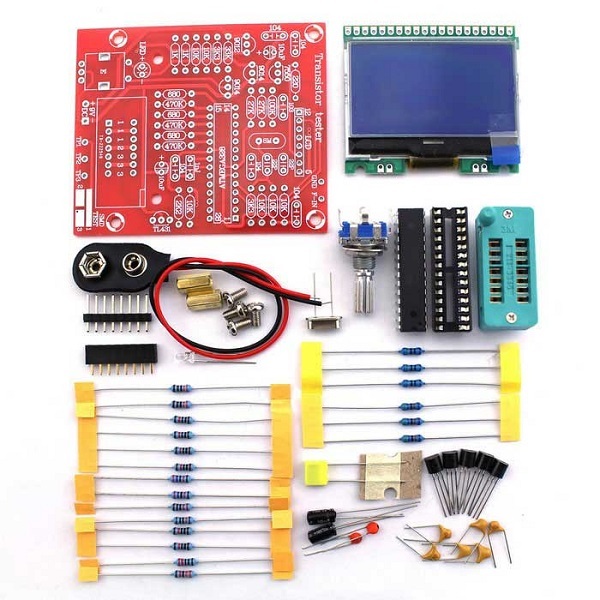 The kit comes with an interesting collection of modules like DS18B20 temperature sensor module, finger-pulse sensor module, relay module, tracking sensor module and much more. These sensors are also compatible with other development boards like ESP32, ESP8266 or Raspberry Pi, for example. 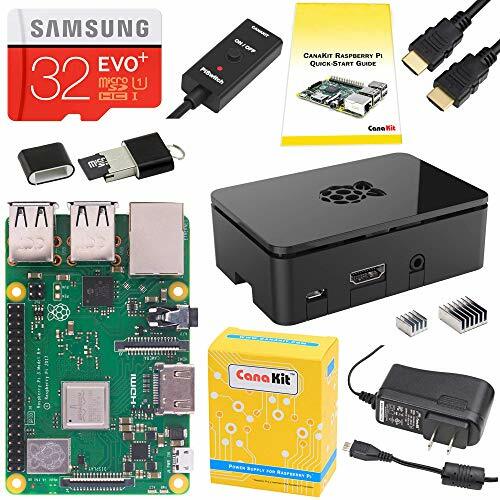 A Raspberry Pi kit is a great gift. A Raspberry Pi is a great tool to learn about how computers really work, programming, and electronics. There are endless things you can do with a Raspberry Pi: create your own programs, create your own electronics projects, build a retro gaming console, a media center, a home automation system, and much more. 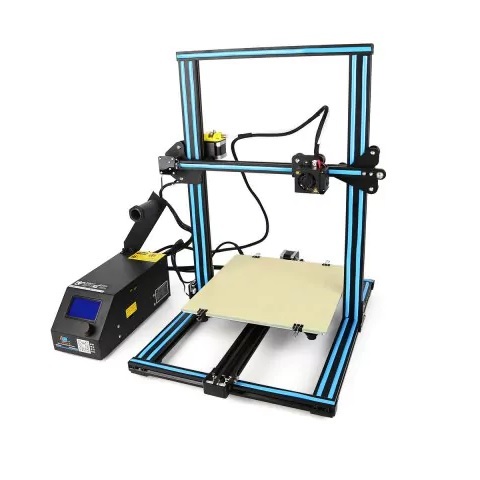 If you’re thinking about getting one of this, we recommend reading our review: Creality 3D CR – 10 3D Printer Review – Best 3D Printer under $400. In our opinion, the Creality CR-10 is one of the best 3D printers you can get for less than $400. It is very easy to assemble, and you can get good results since the first print, even if you are a beginner in this subject. This screwdriver kit comes with 24 high precision bits, useful for everyday needs. A precision screwdriver set is a must in any workbench. It is often used to repair your own stuff, disassemble electronics appliances, or just to tinkering around. This Xiaomi screwdriver kit comes within an aluminium alloy storage box with a nice design. 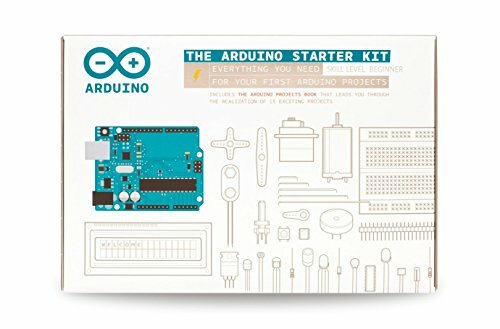 An Arduino starter kit is a great gift for those who want to start building their own electronics gadgets/projects. Getting started with Arduino is easy and anyone can learn how to make stuff with it. It is suitable both for children and adults. For those who love old arcade games, a Raspberry Pi retro gaming kit is just perfect. 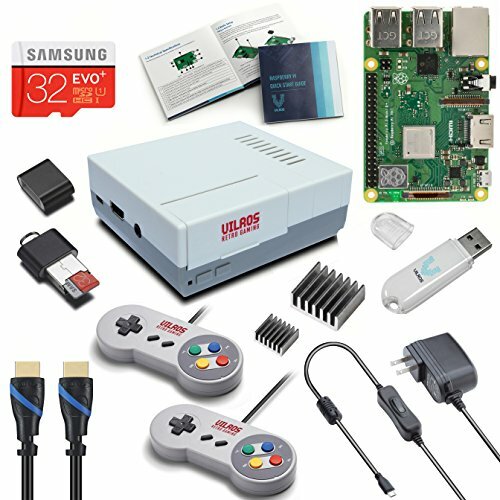 Turn the Raspberry Pi into a retro gaming console with this Raspberry Pi retro gaming kit (Raspberry Pi 3 B+ included). The Raspberry Pi is able to emulate old consoles, so you can play games like Super Mario, Sonic, Space Invaders, and much more. This kit comes with classic USB gamepads and a retro gaming case to resemble old consoles. 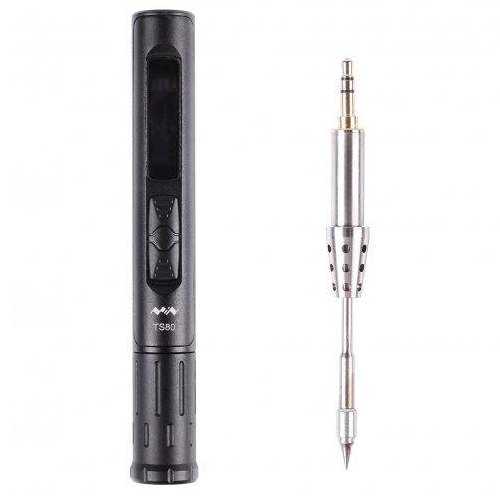 The TS80 soldering iron is one of the best portable soldering irons for its price at the moment! The TS80 soldering iron is the sucessor of the TS100 soldering (read our review about the TS100 soldering iron). It is similar to the TS100 but with newer features and some improvements. The TS80 is an USB soldering iron and you can power it using a regular power bank. Replacing the tips is super easy as it uses a 3.5 mm plug (similar to the audio jack). 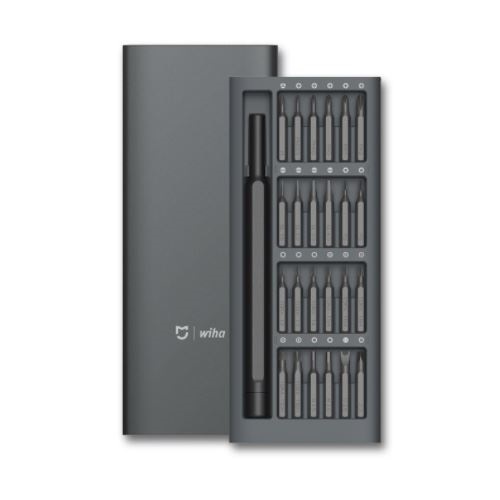 This is definitely a great gifts for electronics enthusiasts. 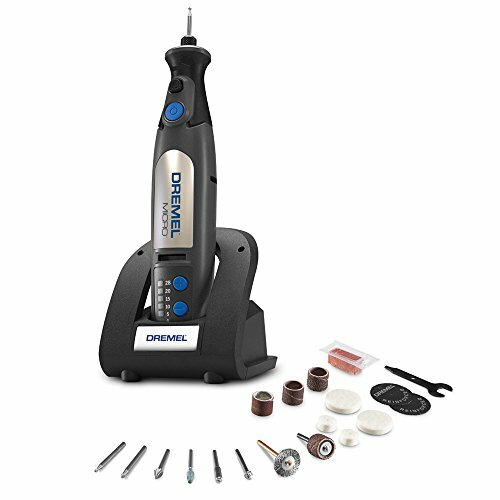 This dremel micro rotary tool is at great discount on Amazon. This micro rotary tool from Dremel is perfect for carving, engraving, cutting, polishing, sharpening, sanding, and much more. It comes with several accessories to suit all your needs. This tool is cordless and includes a docking station to hold the tool when you’re not using it. This is for sure a great gift for any maker. The ESP32 is a Wi-Fi module perfectly suited for DIY projects in the Internet of Things (IoT) field. 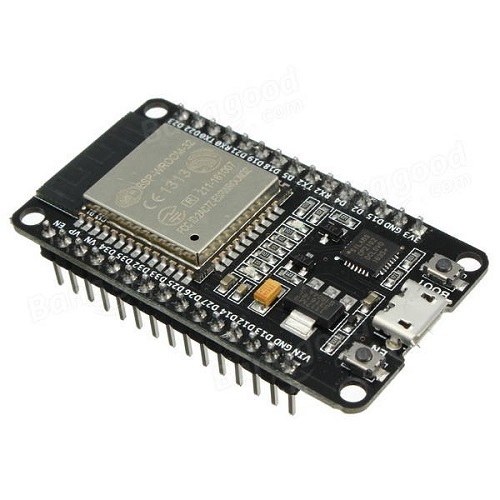 The ESP32 comes with GPIOs, support for a variety of protocols like SPI, I2C, UART, and more. The best part is that it comes with Bluetooth and Wi-Fi included, which makes it apart from other microcontrollers like the Arduino. This means that you can easily control and monitor devices remotely via Wi-Fi for a very low price. If you want to learn how to take the most out of this powerful development board, take a look at our course: Learn ESP32 with Arduino IDE. 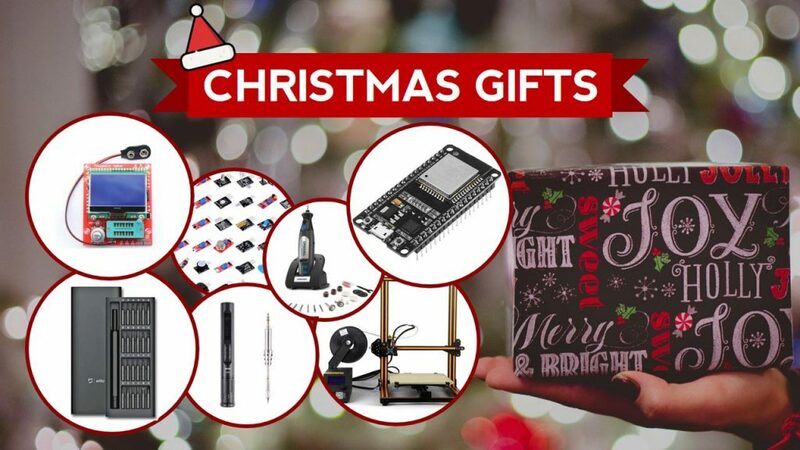 We hope you’ve enjoyed and found this list of 10 Christmas gifts for maker useful. Looking for more great deals on electronics and tools? Make sure you subscribe here to catch upcoming deals and score some extra savings on your favorite gear!